From ziplining through the cloud forest and hiking to waterfalls, to seeing some of the most incredible wildlife on the planet, Costa Rica is a dream destination for outdoor adventurers. 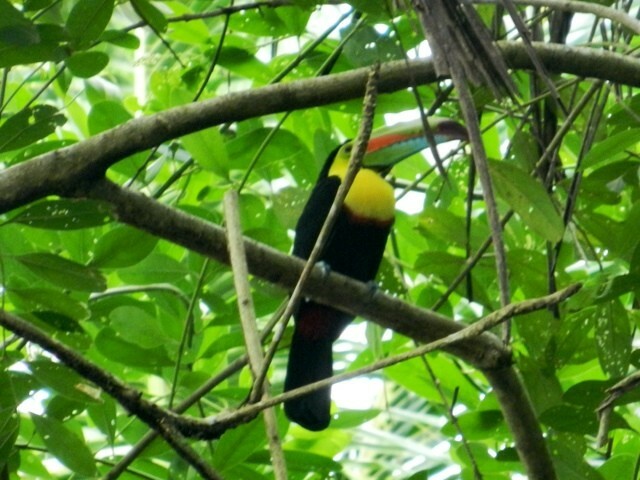 I have such happy memories of my time in Costa Rica! I ziplined, hiked, drank tasty local coffee, listened to Reggae on the Caribbean side and spotted sloths, monkeys, toucans and more! It was the outdoorsy wonderland I hoped it’d be, and it’s one country that is firmly back on my list of places to revisit. Next time I’d be tempted to book one of these luxurious Costa Rican rentals with a group of friends, complete with rainforest views and a pool. In terms of the dream trip, well there really is absolutely tonnes on offer, so here’s my rundown of top things to do in Costa Rica. 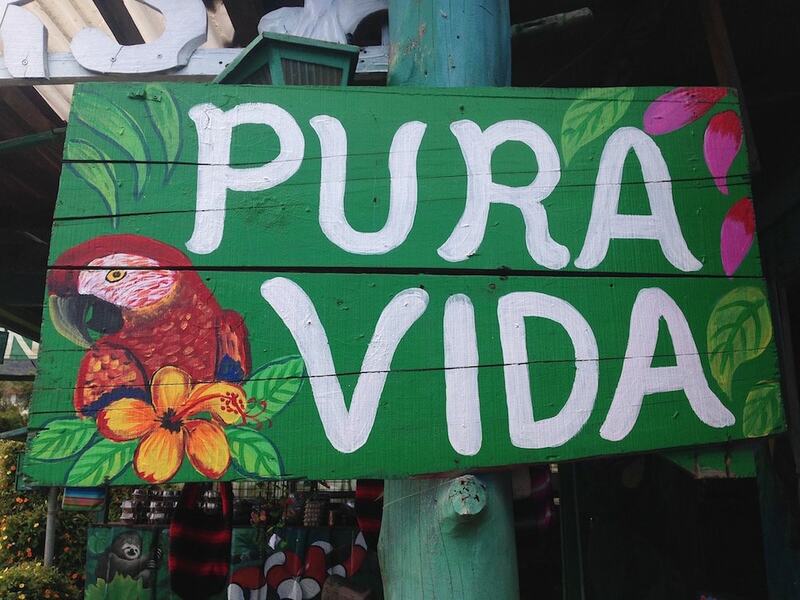 When you visit Costa Rica, you’re going to see Pura Vida mentioned a lot! It’s a way of life. Translating literally as the pure life, I felt the meaning was more about a good life, a relaxed life and a happy/content life. 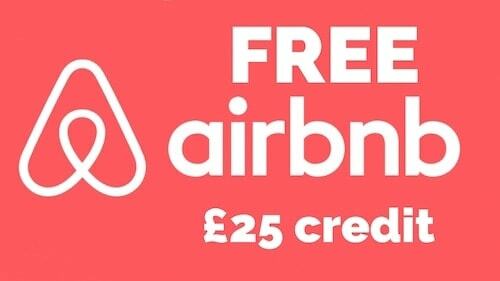 Slip it into conversation and you’ll certainly impress the locals! 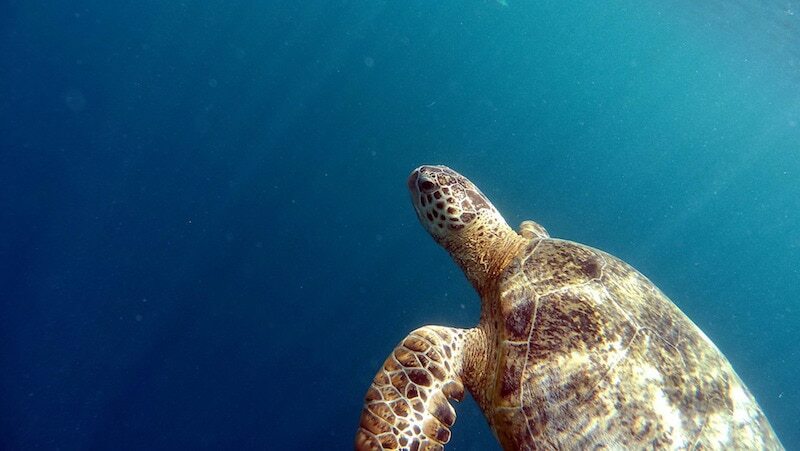 Chill on the calmer Caribbean coast or enjoy wilder times on Costa Rica’s Pacific coast. There are plenty of beautiful beaches to explore, from Manuel Antonio Beach which is teeming with wildlife (sloths and monkeys!) to the perfect white sands of Conchal Beach, and Playa Tamarindo – a favourite with surfers. The lush cloud forests in Costa Rica are magical, where low hanging mist and clouds sit on the upper canopy of the trees. 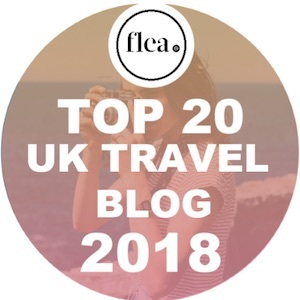 Monteverde is the place to go, and there are numerous ways to explore – from walking the Sky Walk (crossing six hanging suspension bridges), to taking the sky tram gondolas. Not only will you get to know the species of plants there, you’ll spot birds and other wildlife on your way! Hurtling through the rainforest while taking in incredible views of the forest is one of the most fun ways to see this part of the country! 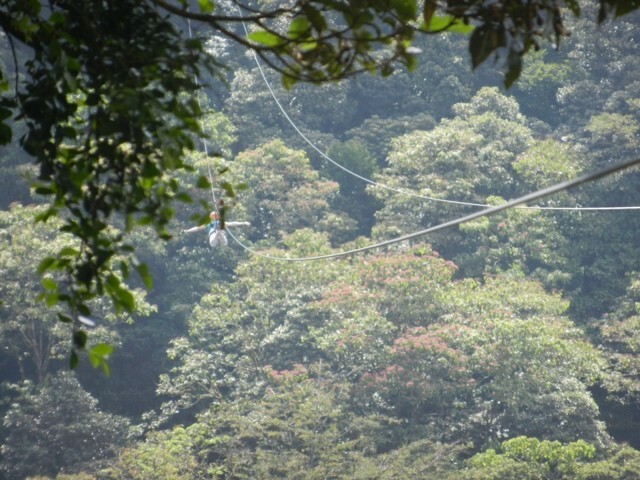 Along with plenty of zip lines (including the longest in Central America) 100% Aventura Extreme is also home to the Mega Tarzan Swing! This is genuinely one of the most thrill-seeking, terrifying things I’ve ever done, but I’m proud of myself! 50m up in the sky, it involves a free fall of 35m (goodbye lunch!) before swinging over 100ft from side to side. There are quite a few hot springs in Costa Rica, but my recommendation would be to try a natural one (river) and then head to a resort to enjoy a more luxurious version. That’s what I did while staying in the town of La Fortuna near Arenal Volcano. Head to Rio Chollin and you can cross the river and get in the lovely warm water. Yes it’s rocky, but this is a real hot springs experience. Then, pick up a day pass to Baldi Resort and enjoy 25 thermal water pools in a luxurious environment. There are even slides, restaurants and bars, so it’s a fun places to spend a whole afternoon. Costa Rica is famous for coffee and chocolate production. 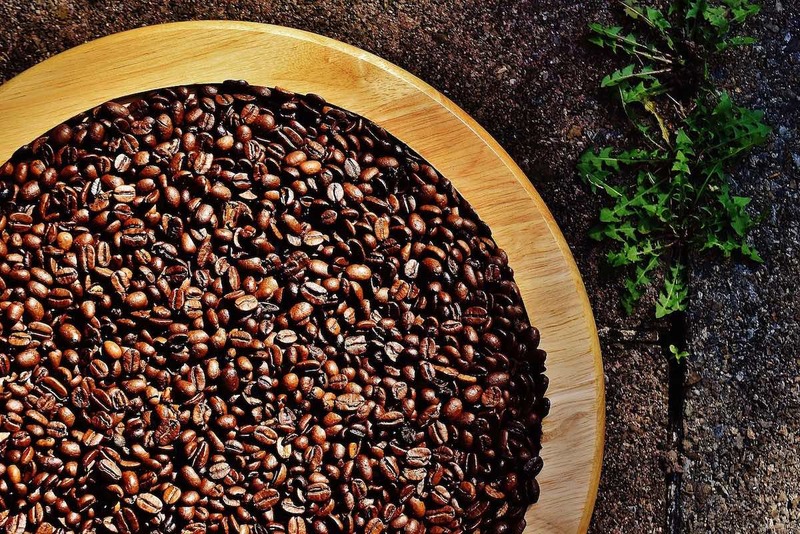 Close to Monteverde is El Trapiche, a family run coffee, sugar cane and cocoa experience. Along with a tour of the grounds and plenty of info and tastings, the trip doubled as an impressive wildlife experience too. We spotted three sloths in the trees on the plantation! This is one place I didn’t visit on my trip but is top of my list for a return trip. 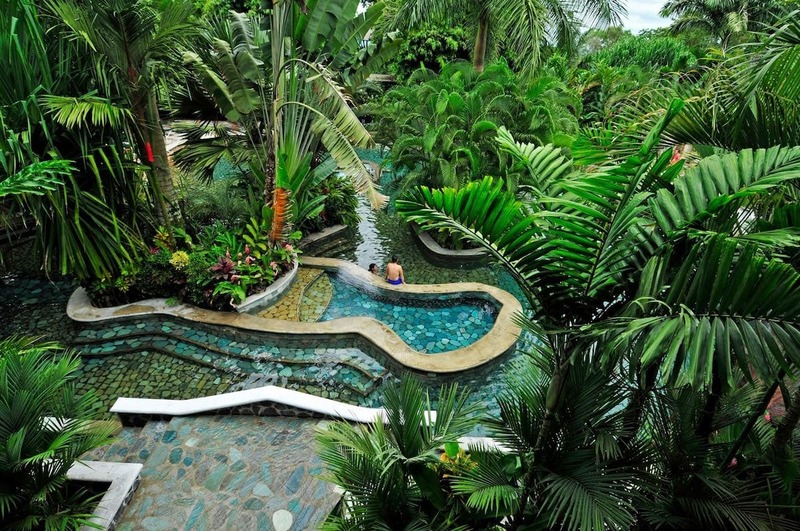 It’s a wildlife lover’s dream where the Caribbean sea collides with lush rainforest. Vicky Flip Flop took an incredible canal tour and spotted tonnes of colourful creatures including lizards, capuchin monkeys and caimans. Sabrina’s post about spotting monkeys in the trees while kayaking, and a night walk along the beach to see the turtles laying their eggs has made me want to visit even more! Along with plenty of hills, the Costa Rican roads are some of the bumpiest I’ve ever experienced! Sit back and enjoy a local style massage! 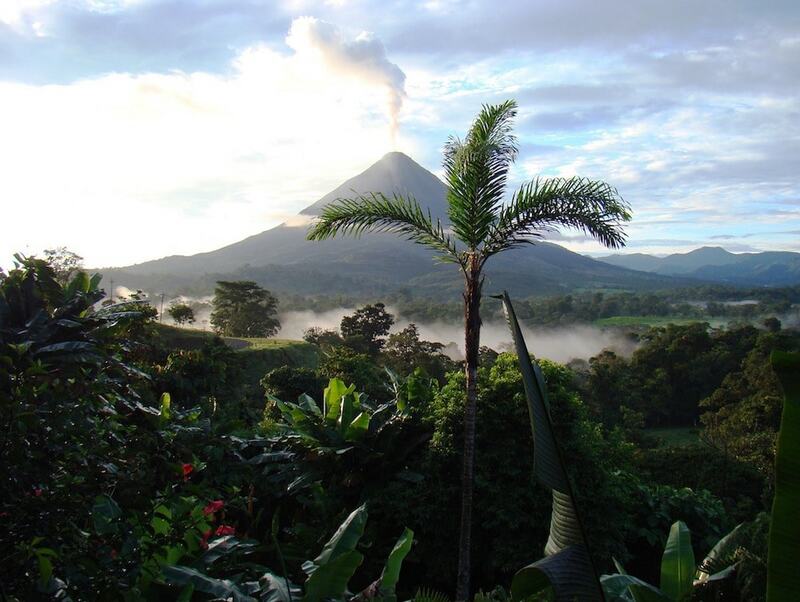 One of the most impressive sights you’ll see in Costa Rica is the looming 5743 ft peak of Arenal Volcano. We stayed in La Fortuna, a nearby town which has the volcano as a backdrop. It really is mind-blowingly stunning, so don’t miss this part of the country. While in La Fortuna, trek to the famous waterfall. It’s in a lush location in the middle of the jungle, but from the second you start the descent, you’ll hear the sounds of the plummeting weight of water. The waterfall is 200 ft high (65 m) and while the water is cool, I’d recommend taking a quick dip! Rastas and reggae wasn’t something I associated with Costa Rica before visiting, but take a trip to Puerto Viejo and you’ll think you’re over in the Caribbean. The vibe is chilled during the day, but there are some fun party spots at night, and with so many popular places to visit in the vicinity, it’s a perfect base for part of your trip. 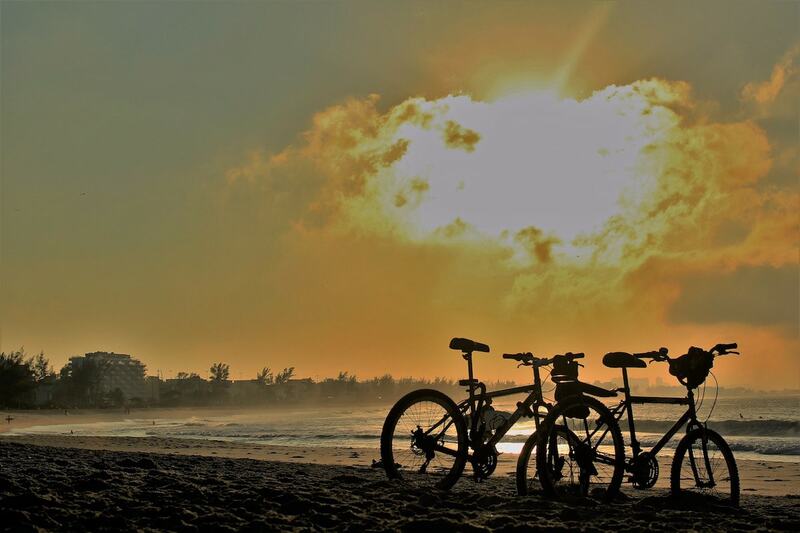 If you’re happy on two wheels, this is a great way to explore Costa Rica. You can rent a bike in most towns for around $10 a day. I remember it being a particularly popular way to see the areas around Puerto Viejo on the coast. If you’re more adventurous, try one of the big trails. At Rincon de la Veija you can cycle on an active volcano, meanwhile some of the other top routes start in jungles and end at the beach. Cahuita Park was one of my favourite places to visit while in Puerto Viejo. The rainforest sits right on the beach and it’s home to an abundance of wildlife – toucans, sloths, Jesus Christ lizards, iguanas, snakes, giant crickets, leaf cutter ants and more. It’s a very special experience seeing the animals hard at work in their natural habitats. Playa Tamarindo is one of the top surfing destinations in Costa Rica. It doesn’t matter if you’re a beginner or an expert – there are waves suitable for everyone, and plenty of surf schools in the town. Plus, being a surf mecca brings some super cool places to hang out in the afternoons and evenings too. This was a highlight of my time in Costa Rica. The Jaguar Rescue Centre is a refuge for sick, unwanted or underdeveloped wild animals. It was set up by a couple of biomedical scientists from Europe who moved to Costa Rica for a change of pace. Little did they know, as soon as they moved to the area, locals heard they could help animals and turned up on the doorstep with sick monkeys, owls with broken wings, and blind crocodiles! They decided to set up the rescue centre and it’s been expanding ever since. As part of a tour we had the opportunity to sit in the monkey enclosure while spider and squirrel monkeys played around – swinging and jumping from place to place. 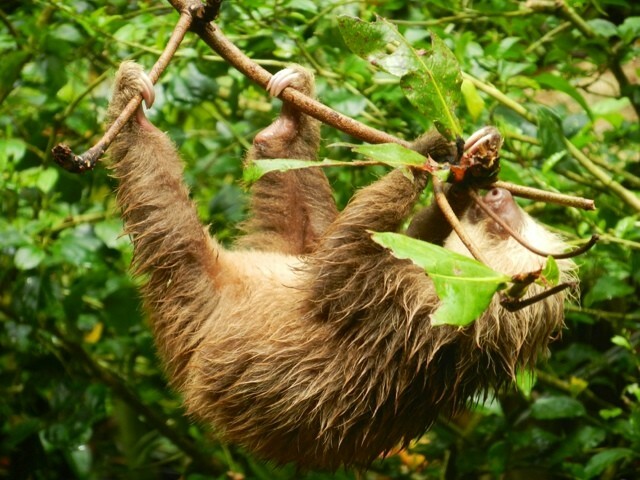 A large sloth hung from a tree, while a baby fed and clambered around very slowly. In another enclosure, a girl sat on the floor stroking and playing with a baby ocelot – a wild cat similar to a leopard. It was small, and kitten like, but in a few weeks it would no longer be safe for this level of human contact. It really was an amazing place to get up close to some of the most endangered creatures on the planet. Impressive limestone caves are buried in the west of the country, some around 250m down, and it’s thought only around 50% have been explored so far. The entrances to the caves are vertical, so think of this as a bit of a climbing expedition. You’ll need climbing gear and a guide in order to head into the underground world, but with plenty of caverns filled with stalagmites and stalactites, it’s well worth it. Running alongside the Talamanca Mountains, the Pacuare River is one of the most epic places in the world to go white water rafting. 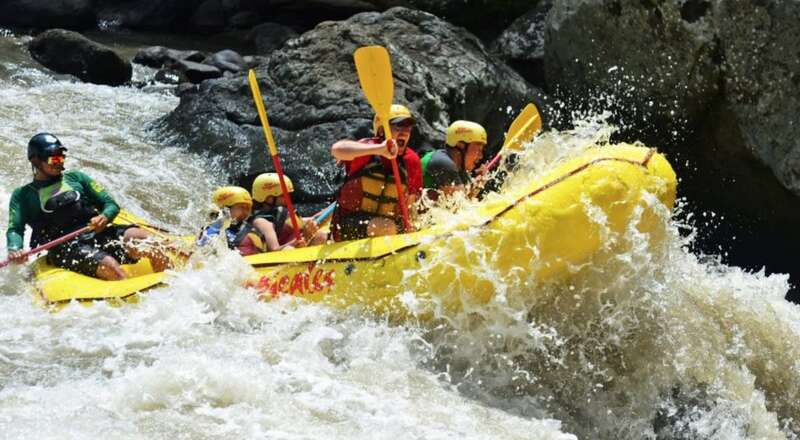 This is one for relatively experienced rafters as some of the rapids are pretty wild! Oh and the views are equally as wild, with plenty of birds and animals to spot on the route. I have such happy memories of visiting this cute café in Puerto Viejo, that I just had to include it! Filled with sweet treats and tasty snacks, this café has a lovely relaxed vibe. 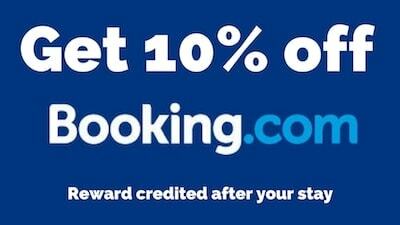 It’s somewhere to visit with friends, or rock up with a book and enjoy a brownie and a coffee for the afternoon. You’ll get used to Gallo Pinto on your travels through Costa Rica (a traditional dish of rice and red or black beans). Over on the Caribbean side it has a Caribbean twist, often served with Caribbean style grilled chicken (similar to Jerk seasoning). It’s yummy, and something you have to try! This post was sponsored by Luxury Retreats who have plenty of great villa options across Costa Rica. As always, all opinions and words are my own! Enjoyed this post? Go ahead and pin it for later! I’ve visited Costa Rica 3 different times and even got married there. I loved every bit of it. We’ve walked the black sand beaches near Jaco, hiked the Arenal Volcano and saw the sloths and monkeys at Manuel Antonio. The food, the people, the sites. This place is heaven. I would recommend anyone who hasn’t visited here yet, to go an experience this magical Central American country. Thanks JC! 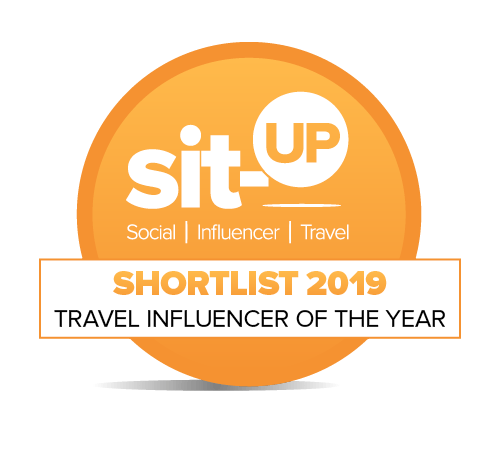 I love it so much there too – hoping to return later in the year! That is so not fair! It looks divine, and I cannot go there right now. I love the photos and those hot springs are like paradise. Thanks Janja! I can’t wait to return to CR soon! Great tips for Costa Rica! We’re just back from nearly two weeks in the country – and it wasn’t long enough at all! We could easily get used to the Pura Vida lifestyle… the Nicoya peninsula was beautiful, especially the beaches around Samara! Thanks Ellie! Sounds amazing!! I’m actually heading back in a few weeks. SO excited for that one! !